From Friday 14 December 2018 until Tuesday 31 December 2019: Enjoy 30 % off! From Wednesday 30 January 2019 until Tuesday 31 December 2019: Enjoy 40 % off! From Monday 4 March 2019 until Tuesday 31 December 2019: Enjoy 20 % off! 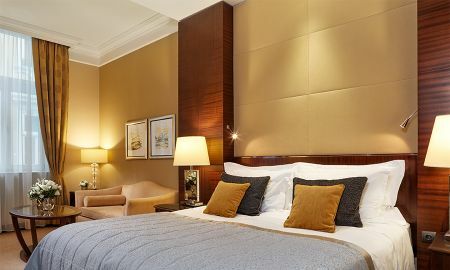 These meticulously designed Suites 63 square metre offer flexible space, and each features a bedroom with a luxurious King size bed, an expansive living area, a handsome view of the streets of Budapest, and all the luxuries you’d expect from a grand, five-star hotel ensuring nothing but the finest in luxury Budapest accommodation. 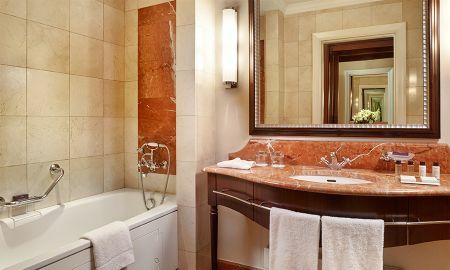 After its restoration, the Corinthia Hotel Budapest has been classified as a modern and luxury hotel for elegant and demanding guests. 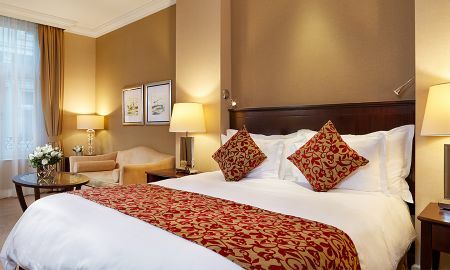 Inaugurated in 1896 under the name 'Grand Hotel Royal', the Corinthia Hotel Budapest still preserves its original design and architectural features such as the Neoclassical façade, marble floors, sweeping staircase, ballroom and six-storey atrium. 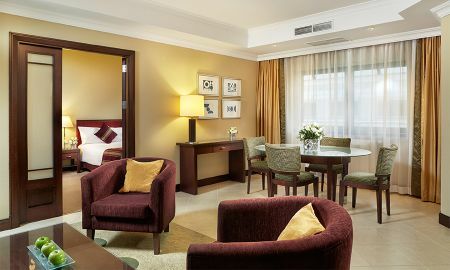 To adjust the hotel to contemporary requirements and needs, cutting-edge facilities have been added recently. The mixture between old elements and contemporary accessories creates a timeless atmosphere where past and present intermingle perfectly. 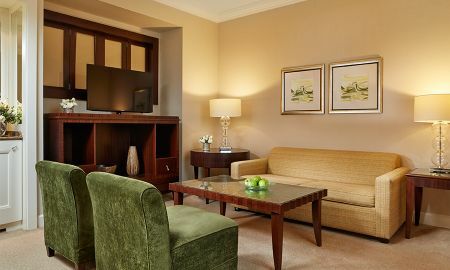 The Corinthia Hotel Budapest's rooms, suites and residences are bright, spacious and opulent to keep away any noise and preserve quietness all day long. The Brasserie&Atrium Restaurant serves Hungarian and international dishes, while in the Rickshaw Restaurant, guests can taste Far Eastern cooking. Finally, 'Le Bar' is an elegant place suitable for an after dinner drink or to taste a delicious aperitif. The Royal spa also expresses this concept at best. It appears as a 21st century wellness centre, boasting modern equipment (such as a 15 metre indoor pool) and retaining the grandeur of the past. 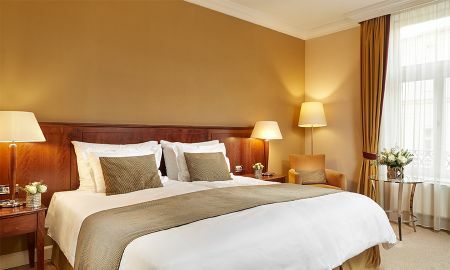 The Corinthia Hotel Budapest is a beautiful building located in one of the most memorable cities in Central Europe: Budapest. It is very close to the historical and cultural landmarks including the UNESCO world heritage site Andrássy Avenue, the House of Terror museum and many of the city's world-famous spas. In case of a non refundable rate the total amount of taxes will be directly debited from your card at time of booking. Guests under the age of 16 can use the spa just from 11:00 to 15:00 and must be accompanied by an adult. Please note that the spa facilities will be closed for routine maintenance 17th, 18th and 19th December 2018. All spa treatments will remain available, and the brand new gym will also remain open.